The trio of sophomore Hudson Randall, junior Nick Maronde and senior Matt Campbell combined on a five-hit shutout and No. 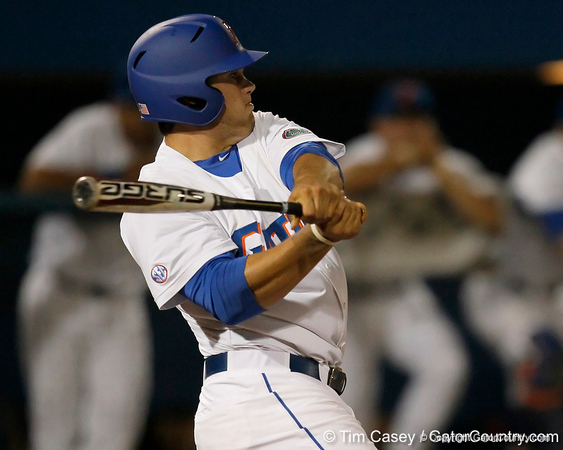 5 Florida (29-10/12-4 SEC) used a 14-hit offensive attack to notch a 7-0 victory over Alabama (25-16/8-8 SEC) in front of 4,206 fans at McKethan Stadium on Friday night. Randall (7-1) scattered four hits over 6.1 innings and was boosted by three RBI and a two-run homer by junior Preston Tucker, a three-run homer by senior Josh Adams and a 3-for-5 outing by sophomore Nolan Fontana. UF’s eighth shutout of the campaign matches the team’s highest total since 1991 and all nine Florida starters had at least one hit.